High-yield bond mutual funds provide the best choice for those looking to invest in below investment-grade bonds, also known as junk bonds. Though bonds rated below investment grade are believed to be riskier than investment grade bonds, a well-diversified portfolio of these securities reduce the risk of a portfolio. Thus mutual funds maintaining a portfolio of these securities are the best for investors as these allocate their assets in such securities from a wide range of sectors. Moreover, these funds are expected to provide better returns than those investing in securities with higher ratings, including government and corporate bonds. Also, due to their higher yield feature, junk bonds are believed to be less susceptible to interest rate fluctuations. Below we share with you three top-ranked high-yield bond mutual funds. Each has earned a Zacks Mutual Fund Rank #1 (Strong Buy) and is expected to outperform its peers in the future. MainStay MacKay High Yield Corporate Bond (MUTF:MHYSX) seeks maximization of income through a diversified portfolio of high-yield debt securities that are unrated or rated below investment-grade. MHYSX invests a large chunk of its assets in both U.S. and non-U.S. corporate bonds that offer high yields. MainStay MacKay High Yield Corporate Bond R6 has one-year annualized returns of 2.7%. MHYSX has an annual expense ratio of 0.59%, lower than the category average of 0.93%. BlackRock High Yield Bond Portfolio (MUTF:BHYSX) seeks to boost total returns on investment. BHYSX invests a bulk of its assets in non-investment grade bonds (high-yield bonds), which have maturity of 10 years or lower. It invests about 30% of its assets in foreign currency denominated issuers located offshore. BlackRock High Yield Bond Portfolio Service Shares has returned 3.2% in the last one-year period. Andrew Susser is the fund manager of BHYSX since 2013. Fidelity Capital & Income Fund (MUTF:FAGIX) primarily focuses on acquiring debt securities that are rated below investment grade. FAGIX also invests in equity securities of companies that are facing unfavorable financial conditions throughout the globe. Factors such as industry position and economic condition are considered before investing in a security. Fidelity Capital & Income Fund has one-year annualized returns of 6%. As of January 2018, FAGIX held 656 issues, with 2.06% of its total assets invested in Ally Financial Inc. 8% SNR PIDI NTS 01/11/2031 USD (SEC REGD). 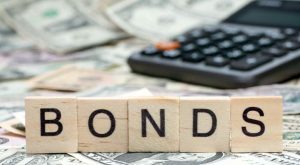 Article printed from InvestorPlace Media, https://investorplace.com/2018/06/3-top-high-yield-bond-mutual-funds-strong-returns-ggsyn/.